PITTSBURGH – The Pittsburgh Riverhounds formed an affiliation with Major League Soccer’s Columbus Crew SC, the team announced Wednesday morning. The Hounds have partnered with a historic MLS franchise that reached this year’s MLS Cup final and finished runner-up to the Portland Timbers. 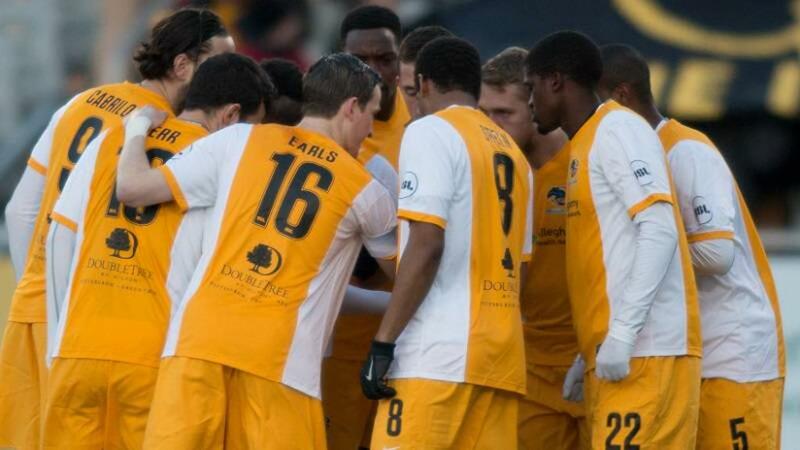 The Riverhounds are coming off a fifth-place finish in the Eastern Conference during the 2015 USL season, a campaign that generated some exciting moments in the Keystone Derby Cup with the Harrisburg City Islanders and a whopping 53 goals throughout the year – second-most in the East. As Steffens prepares for his second season with the Hounds in 2016, the partnership with Columbus proves to be a valuable commodity toward the new campaign. “This is a great opportunity for our entire club to learn from Columbus both on and off the field, to help to develop young loanees into well-rounded professionals and men of integrity, and to strengthen our roster for another USL Playoff push in 2016,” Steffens said. For Crew SC, the three-time Supporters’ Shield winners, 2008 MLS Cup champion and 2002 Lamar Hunt U.S. Open Cup-winning organization considers the Riverhounds to be the best environment for the team’s younger players to earn some valuable professional minutes in Pittsburgh. “We look forward to beginning a USL affiliation with the Pittsburgh Riverhounds as we continue to strengthen our player development efforts,” Crew SC Head Coach Berhalter said. “Pittsburgh’s philosophies and values on and off the field, from ownership to the coaching staff, are like-minded and exactly what we are looking for in a partnership.